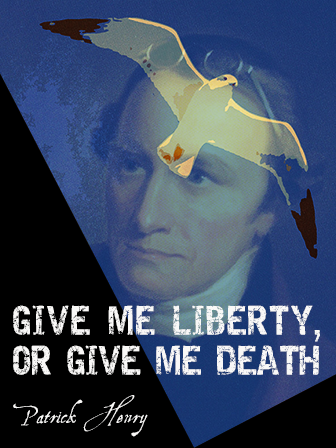 More than a year before Thomas Jefferson would pen the Declaration of Independence, on March 23, 1775, delegate of the Virginia Continental Congress Patrick Henry gave an impromptu speech addressed to the president of the Second Virginia Convention about the urgent need of preparing for war against the British, even though his compatriots had begun discussing prospects for peace. Henry’s impassioned speech would be well-remembered for its famous last line, and the man would become one of the primary symbols of the revolution. This speech is worthwhile in the classroom for a variety of reasons. It could serve as an anchor text for a unit on rhetoric, persuasive speech/essay, figurative language, and/or american history.